tendu, originally uploaded by jahansell. 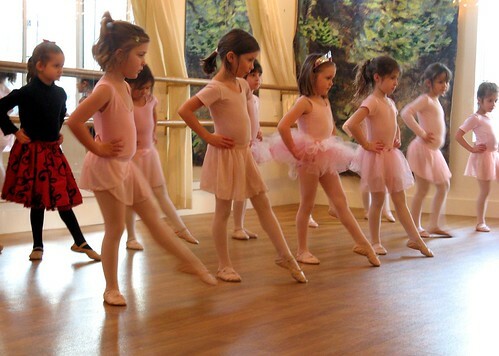 The little ballerinas from Arts In Motion in Salisbury had their open-houses this week - the Ballet 1 class acquitted itself quite nicely. Yah, the hip-hop class there also had its open house this week (my daughter is in that class). Terre Lefferts is a gem. My eye was immediately drawn to the one in the back, the one in the black shirt and plaid skirt. Because of her the photo invites the mind to question what it sees. What a beautiful photo; the rogue in back pulls it all together . . . What did her teacher say to that outfit, I wonder?